The Drum is dedicated to being one of the best venues for the performances and exhibitions of the diverse black arts to be enjoyed and loved by all. "The Drum is unique in the UK for its offer of intercultural arts dedicated to the development, presentation and celebration of arts and cultural activities of Birmingham’s diverse communities enjoyed by all in the region and nationally. 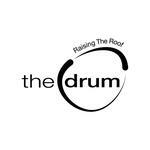 From its origins in the early 1990s determined to address the absence of Black and Minority Ethnic voices and presence in the mainstream, The Drum has evolved into a modern arts organisation serving the needs of diverse audiences and communities locally, regionally and nationally." The ticket price varies for each individual show. There is no entry fee just to come into the building and many of our exhibitions are free. Age restrictions apply on certain shows. Children are welcome to attend shows that are deemed suitable for a young audience. These will be clearly indicated on our website event listings. What did you think of The Drum? I went to see King Yellow man and Sugar Minott on Sat 14.11.09 and although the show was not packed out I had a fantastic time, the artists, band, MC's were good and really livened up the atmosphere. All Staff- Very helpful, courteous and professional. Toilets - Clean, although the dryer is situated in a silly area near the door and should be near the sink area. It could do with a full length mirror as well (yes for us ladies) Parking - Parking was excellent and even if the venue was more packed parking would still not have been a problem. Overall the drum is nicely decorated with a pleasant atmosphere, If you get fed up of dancing there is an area outside where you can sit. They have a range of community events going on and I have added my self to the mailing list. All in all a lovely venue.